If everyone involved in the process of accounting followed their own system, or no system at all, there's be no way to truly tell whether a company was profitable or not. 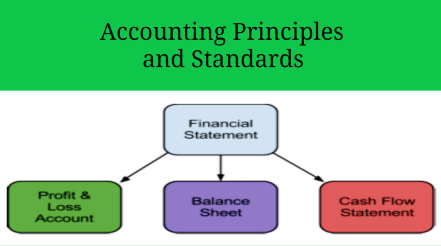 Most companies follow what are called generally accepted accounting principles or GAAP, and there are huge tomes in libraries and bookstores devoted to just this one topic. Unless a company states otherwise, anyone reading a financial statement can make the assumption that company has used GAAP. GAAP are not cut and dried, however. They're guidelines and as such are often open to interpretation. Estimates have to be made at times, and they require good faith efforts towards accuracy. You've surely heard the phrase "creative accounting" and this is when a company pushes the envelope a little (or a lot) to make their business look more profitable than it might actually be. This is also called massaging the numbers. This can get out of control and quickly turn into accounting fraud, which is also called cooking the books. The results of these practices can be devastating and ruin hundreds and thousands of lives, as in the cases of Enron, Rite Aid and others. 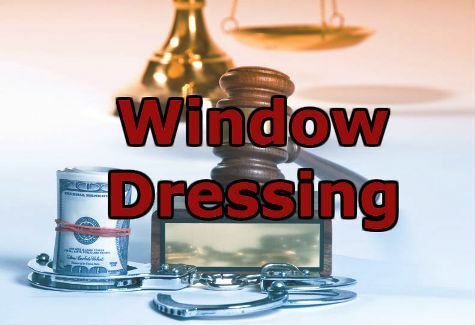 What is Financial Window Dressing? Professional Accountants in London serving London and the surrounding area successfully for years.